This is actually the start of my Breakfast Skillet (http://www.cherylsrecipes.net/recipe/breakfast-skillet/), but without the eggs and cheese. 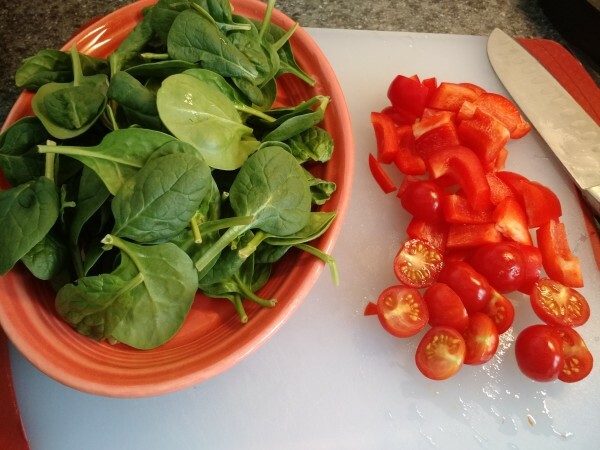 I make this often when I want a quick, healthy lunch. If you are watching your carbs, you can leave the potato out, although this is a very small potato anyway. Heat cast iron skillet on stove. Add avocado oil. 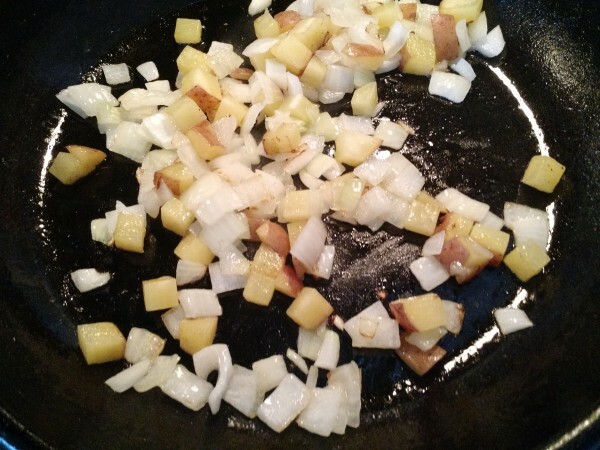 Add potatoes and onions to skillet. Let that cook while you prep the other veggies. 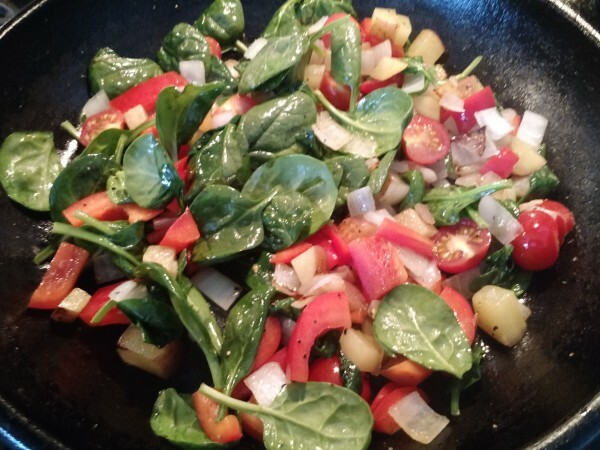 Add remaining veggies to skillet. Season with salt and pepper. Cook, stirring often, until they are cooked as desired. 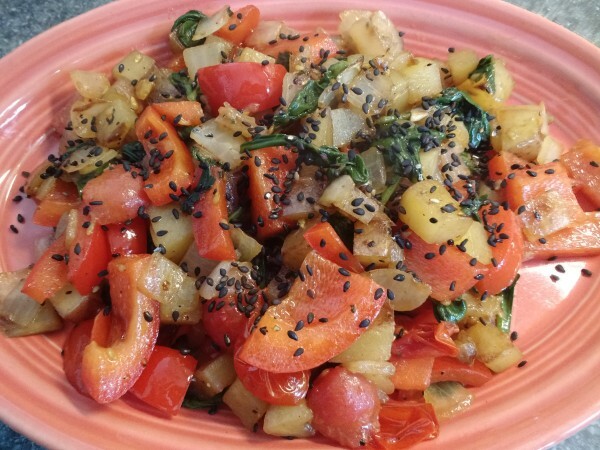 I like to add roasted black sesame seeds to mine for extra flavor and nutrition.